In the course, students can choose from a wide variety of subjects such as English, Mathematics, Physics, Chemistry or Biology depending on their academic result. In addition, the innovative personal teaching at Upper House allows experienced teachers to tutor accordingly to every student’s needs. 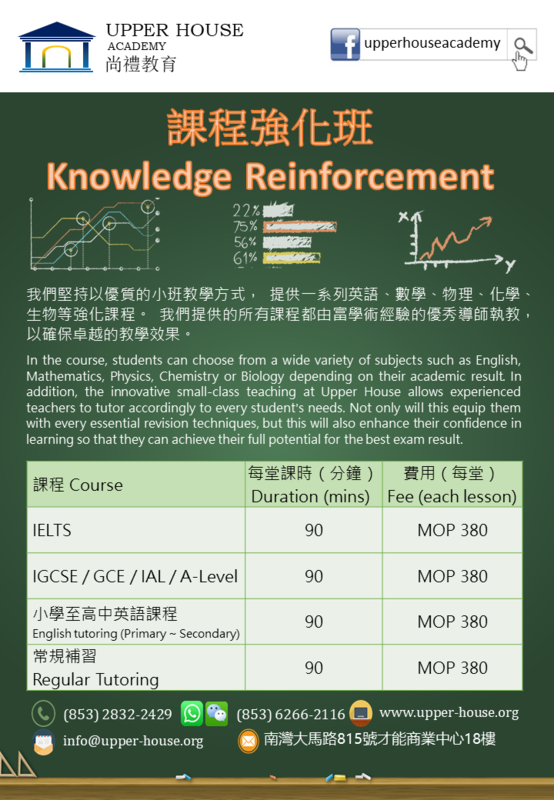 Not only will this equip them with every essential revision techniques, but this will also enhance their confidence in learning so that they can achieve their full potential for the best exam result.